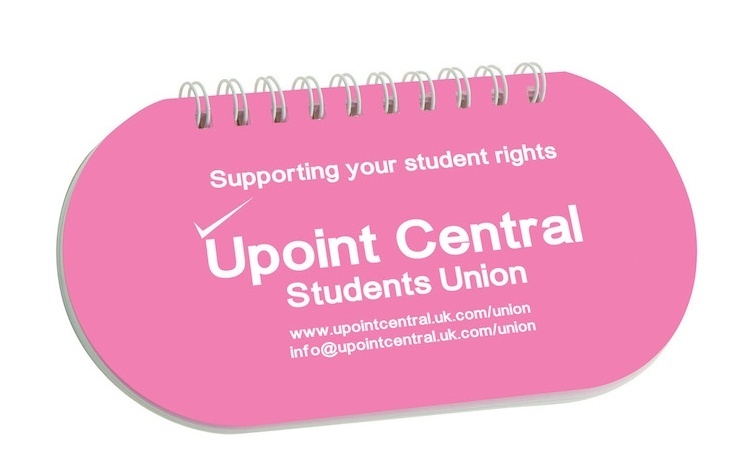 Our new Capsule Notepad is a compact size for storing on desks or in bags and pockets. It includes 50 sheets of recycled white paper with a coloured recyclable polypropylene front cover. Choose from our huge range of colour options. You can even have coloured wire to complement your cover. Price includes a one colour print to the cover. Blue, Green, Lime, Orange, Pink, Purple, Red, Yellow. Frost: Blue, Clear, Lime.